On September 9, 2017, Joshua Kaplan posted another 9/11 cover-up crap at The Gateway Pundit (TGP), founded by Zionist Jew-gay Jim Hoft, in 2004. “Fresh evidence submitted in a major 9/11 lawsuit moving forward against the Saudi Arabian government reveals its embassy in Washington may have funded a “dry run” for the hijackings carried out by two Saudi employees, further reinforcing the claim employees and agents of the kingdom directed and aided the 9/11 hijackers and plotters,” claims Caplan. “Two years before the airliner attacks, the Saudi Embassy paid for two Saudi nationals, living undercover in the US as students, to fly from Phoenix to Washington “in a dry run for the 9/11 attacks,” alleges the amended complaint filed on behalf of the families of some 1,400 victims who died in the terrorist attacks 16 years ago,” adds Caplan. WOW, only two years before the airliner attack, you say! Netanyahu predicted the attack in his 1987 book, Terrorism: How the West can win. In the book he speaks of plans to attack the United Nations building or the World Trade Center in order to unite Americans behind a War of Civilization; non-stop wars between the Christian world and Muslim world to destroy Israel’s enemies. In May 2016, Saudi representative released a report refuting pro-Israel US lawmakers’ claim that allege Saudi government facilitate the 9/11 attacks. It contained past and present statements from US officials that confirm that there was no evidence that Riyadh was behind the 9/11 terrorist attack. When Saudi ‘royals’ threatened to sell US$750 billion American assets if Congress passes a bill to force Riyadh to pay compensations to the families of Americans disappeared during the 9/11 terrorist attacks – Barack Obama threatened to veto any such move. After that the Shylocks went to a Jew judge who slammed Iran with a US$10.5 billion on behalf of families of the Americans declared killed by the 19 Saudi hijackers carrying cardboard knives onboard four commercial planes whose ‘black boxes’ were never recovered. 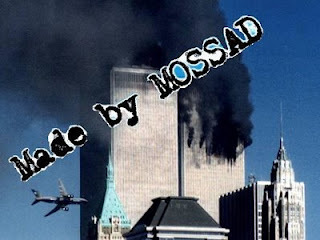 September 11, 2001 terrorist attacks by the US Zionists traitors with the help of Israeli Mossad is rarely mentioned by the Jew-controlled Western mass media or the Jew-bribed Western politicians – in-spite of overwhelming evidence. Last year after Orlando shooting Jim Hoft asked his fellow gay community to vote for Donald Trump. Holt is also connected with pro-Israel Alt-Right, Fox News, Breitbart, and Sarah Palin.